Seborrheic dermatitis is often mistaken for regular dandruff. Head and Shoulders defines seborrheic dermatitis as the “scalp’s extreme reaction to the presence of irritants – when the scalp becomes highly irritated, it gets inflamed, and skin cell turnover starts happening too rapidly. This acceleration leads to large clumps of cells forming at the scalp surface, becoming visible flakes.” It is often associated with an overproduction of sebum with large white or yellow flakes that are adhesive to the scalp. Most of the people in my family, including myself, live with this condition from cradle to grave and this is how I maintain a flake-free, itch-free scalp. From past experience, these shampoos feel amazing on the scalp, especially the T/Gel Extra Strength. The tar leaves your scalp with a cool, minty sensation that is amazing. I discontinued using the shampoo for no specific reason other than going natural and the severity of my condition abated. Always remember to deep condition after cleansing, as you want to restore the hair’s pH and replenish it with the nutrients it lost while washing, especially with medicated shampoos. One major factor that is often overlooked and equally as important as shampoo is the technique. The scales or flakes from seborrheic dermatitis are usually quite thick. Google cradle cap and it is the adult version of that. Because of this, it is important to make sure that you are sectioning the hair and applying the cleanser directly to your scalp. It is easy to fault the shampoo as ineffective if you are applying it to the length of the hair and hoping the lather reaches the scalp. When cleansing you want to hold your ends taut with one hand while scrubbing with the other. This will help to prevent your hair from retracting and tangling as you try to uplift the flakes. Sectioning is also essential when you rinse. You want to section within sections and make sure the water stream is rinsing away all of the debris. One of the best inventions ever made. Everyone’s condition varies and for many the scalp is covered in scales, so it is important to thoroughly exfoliates every inch of your scalp, especially where you flake the most, which for me is around the front of my hairline and my crown. You do not want to use your nails, as they can be too abrasive for your scalp and could cause bleeding (shamefully raising my hand). If you do not want to purchase a scalp brush then use the pads of your fingers and gently scrub. Unless you receive a medicated treatment from your doctor, do not oil your scalp. Your scalp already produces too much sebum and this will only agitate the condition. When your scalp is becoming itchy and flaky, that is simply a sign that it is time for another wash. If you opt to protective style, then I strongly encourage braids first, wigs second, and sew-ins never. Braids allow for convenient access to the scalp, which makes for easier removal of the flakes. 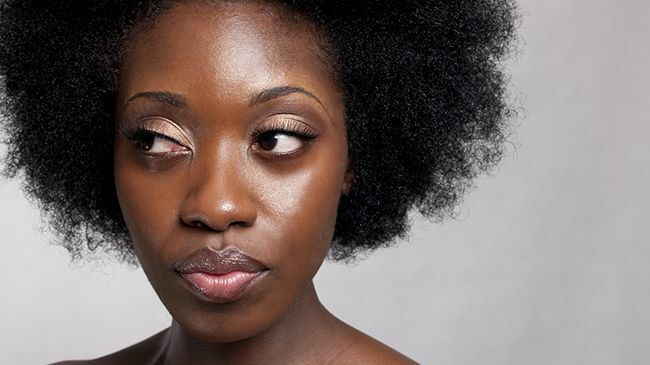 With seborrheic dermatitis is important for the scalp to breathe, so if it is between a sew-in and a wig, go with the wig, as it can be removed nightly. I strongly advise against a sew-in because of the flakes. The scales from seborrheic dermatitis develop completely different from standard dandruff. Scales from sebborheic dermatitis tend to be much larger and wrap around multiple strands of hair, which is difficult to thoroughly remove from hair that is cornrows underneath extension hair. This is how I manage my seborrheic dermatitis, and at the end of my wash day I am left with a refreshed scalp and no scales. What does wash day look like for your scalp condition?